Amazing... I offer direct credit card OR PayPal for payments on our websites .... 10% of wholesale customers opt for PayPal payments... never once had a request for Apple Pay.... I pay by PayPal often .... eBay execs really have no clue. Millionaire and Semi-Millionaire San Jose Region Morons are who think that APPLE PAY is a MAJOR PLUS. Color me Over 65, but still savvy. There is exactly NO REASON for me to want to USE Apple Pay when I have an American Express Gold Card in my REAL Wallet. Ditto my PayPal Credit/Debit card that pays me a FULL ONE PERCENT on every CREDIT PURCHASE I make anywhere OTHER THAN eBay. Not even Discover does that as they pay only 1/4 percent on first $1000 or so then incrementally Ramp UP to their HEADLINE rate of 1 percent. I have been contemplating leaving ebay for the past year and it looks like it will be happening for sure. My sales have really taken a hit in the last 8 mos. and I have been ramping up on etsy with mild success. After 25 yrs on ebay, bye bye. I don't know why they are pushing out small sellers but I will find a new place to be successful. Times are changing. Isn't this the program that if eBay seller's sign up for it, they can't go backward and change their mind. They have to stay in the new program, don't they? Technically none of my concern since I don't use eBay. >>your social security number to verify your identity, << I'm old so maybe I remember this differently, but Social Security numbers were never meant to be used for identification. Even Medicare has removed our SS# from our Medicare cards. And yes I realize that many places use a SS# for ID, but it wasn't meant to be that and more and more a way for scammers, phishers, hackers to steal you blind. Why not something simple like your driver's license? Anyone who thinks this is about Applepay is on crack. IMO the new pay system will take some time to work out the bugs, but it will be OK. You can put in your description "Please pay by credit card or Paypal", but if you're doing business on EB, you have no choice. I don't understand all the bellyaching, since none of us has tried it yet. @glasspackaging: Apple Pay probably charges less % fees than Paypal. As I recall Paypal charges 2.9% or 3.1%. Applepay is probably less. Also, I see a lot of Apple Pay in stores like Whole Foods. You can pay your transit ride with Apple Pay. It's more common than you think. Typical eBay, roll something out for a beta that they have not even worked out the details. Then remove paypal from the Beta and hide the fact. I am happy that I quit ebay July 5th. I have not missed it in the least. I have not made one purchase on ebay but many on Amazon in that same span of time. Oh and I don't use Apple Pay and don't use an I Phone or have any Apple products and don't want them. My credit cards and paypal work fine. I was assured by ebay over and over its the safe way to pay. Guess they changed their colors. Get out now while you still can with the shirt on your back. Ebay does not have a clue so the try to duplicate Amazon which they will never succeed. there are far more glitches today as compared to 10 years ago on eBay. Why would anyone trust them to operate a payment service given how terrible they have become running their own site? I honestly could do a better job on day 1 if I were in charge. What we have here is the disgrace of a moronic, tyrannical, delusional CEO who is forcing through his program of completely copying Amazon to the T, something called a 'shared marketplace' where every seller shares the same error filled product page populated by bad catalog data. Devin has to be the most inept and unskilled CEO in the history of business, the Herbert Hoover of CEOs. 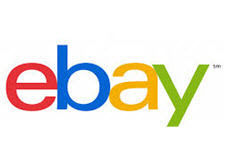 Wenig has already destroyed eBay, the destruction of eBay is not in the future, it has already happened. There is no hope for eBay other than the Board of Directors firing this imbecile now, they need to bring a CEO who is capable of developing a business plan that will differentiate eBay from Amazon. You just can't make this stuff up. It sounds just like the malarkey coming out of the IT "leadership" where I work. These people with no actual skills or knowledge keep failing up and then act like everything about software development is inherently difficult so it's alright that every project they touch falls apart. It's basically the IT version of "nobody could've seen this coming!1one" that the banksters were peddling a few years ago. Embarrassing (or it would be if they had any shame). Software development for the cloud is difficult, eBay does not have the talent, they have a moronic CEO who tells them to do something with code and thinks it is easy as snapping a finger. Here is an illustration of how confused and delusional Devin Wenig is, he claims that eBay is going to use AI to completely tailor a page for each individual buyer, yet he is pushing for the same format Amazon uses, standard catalog data using the same shared photo on product pages. He also says this is the only way you will buy on eBay. Now that takes the cake, using a shared product page with catalog data and claiming at the same time that it is customized for the buyer. How is that going to be tailored for the buyer when they are taking away the ability for SELLERS TO CREATE THEIR OWN CUSTOMIZED LISTINGS THAT ARE UNIQUE? This man is certainly mentally ill and really has no idea what he is talking about when he does a public interview. Well kudos to Ina for titling this article correctly. Ebay "addresses" this issue. Lord knows they never have actual ANSWERS. Kind of like on their chat boards. They associate typing something with an actual answer. (which we all know we never get). Someone asked ''do you have Apple Pay'' and the answer is NO. In fact, no one I know uses Apple Pay....just saying. One of the selling points used by eBay to grow Paypal was the idea your private credit information wasn't spread out all over the internet and Paypal was the repository central for all things. When Paypal was in its early stages, I wasn't sure its real purpose, but over the years I have come to get it. I shop Amazon, I use Paypal, I shop eBay, I use Paypal, in fact for the most part when I shop online, Paypal is almost always a viable option and I use it. So, good for you eBay for showing me the value of Paypal, but now you want me to share my information with some other company. Force me to force my buyers to do something I myself am not comfortable? Crazy!! Not to mention the harm it does to me as a seller, when my buyers will be arm twisted to give up their private information (again) just to buy off your venue? I balk and so will they!! EBay really has some grandiose delusional perception of themselves and I suspect they will go the way of AOL, Blockbuster, Yahoo and other ''self-important'' businesses (dust in the wind). Please raise your hand if you have Apple Pay. So far not 1 person has said yes! Chicago48 says: "You can pay your transit ride with Apple Pay. It's more common than you think." & then "Had to google Apple Pay:" So we can assume Chicago does NOT have Apple Pay. Still waiting to see just 1 hand. . . . .